Over the past two years, police in the Indian state Uttar Pradesh are alleged to have carried out 59 extrajudicial killings. The events have sparked an inquiry by a panel of four United Nations independent experts on human rights, which in a statement this month “expressed alarm” about the killings that seemed to have taken place in police custody. … individuals allegedly being abducted or arrested before their killing, and their bodies bearing injuries indicative of torture. The statement released on 11 January – by the Special Rapporteurs on extrajudicial, summary or arbitrary executions, on the situation of human rights defenders, on torture and other cruel, inhuman, and degrading treatment or punishment, and the Special Rapporteur on freedom of religion or belief – makes for disturbing reading. The cases examined date from March 2017, in addition, there have been allegations of threats to family members and the human rights defenders. This upsurge of “encounter killings”, as they are referred to in India, coincides with the election of a chief minister of the state known for his vitriol against the sizeable Muslim minority in the state – who comprise the overwhelming number of victims of these killings. Unfortunately, extrajudicial killings are not new to India. They have been used in the past by the police and security forces. In a particularly telling paragraph of the statement, the rapporteurs “highlighted their concern over statements issued by high ranking state government and police officials seeming to incite, justify or sanction killings.” The situation in the state has been taken into account by the Indian Supreme Court, which is to hear the matter in February. Unfortunately, extrajudicial killings are not new to India. They have been used in the past by the police and security forces in varying contexts – to quell insurgencies such as in the states of Bengal in the 1960s, and in Punjab in the 1980s. Currently, the guise for many of these killings relates to national security offences including terrorism, and in areas of active conflict, such as in Kashmir, states in the North East of India including Manipur, as well as areas of central India affected by the Maoist insurgency. Such killings are also a regular feature in “ordinary” circumstances, for example in those states that do not have active conflicts (such as Uttar Pradesh) and in the course of regular law enforcement operations. As a result, such killings have not escaped the notice of international rights experts at the United Nations previously, indicated in statements issued in 2012 and 2018. A high-profile case filed in 2012 before the Supreme Court of India related to allegations of 1,528 extrajudicial killings in the state of Manipur, which is conflict-affected. The Supreme Court issued a landmark decision in 2016, in which it stated in unequivocal terms the illegality of such actions and the lack of “absolute immunity” in such cases. The court ordered setting up of a special investigation, demanded the head of the Central Bureau of Investigation (India’s federal investigative authority) appear before it, and recommended the active involvement of the National Human Rights Commission. Despite this highest judicial involvement, there has been slow progress, with a small number of charge-sheets filed. 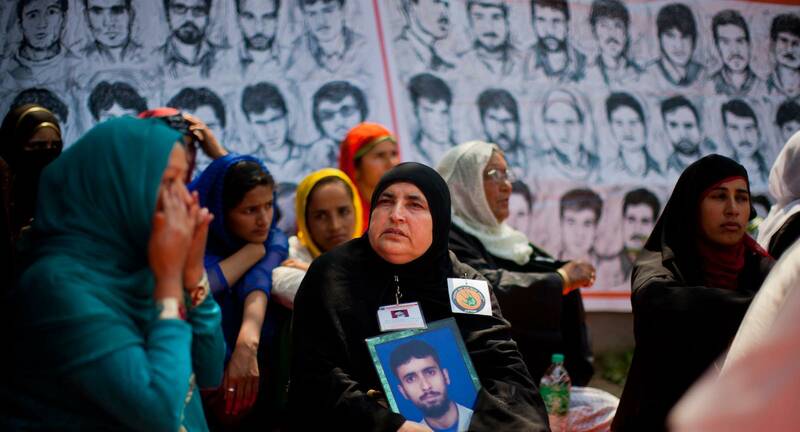 What further complicates cases in conflict areas is the special legislation known as the Armed Forces (Special Powers) Act, 1958 (AFSPA), which requires sanction for prosecution and in effect grants immunity to members of the security forces in designated “disturbed areas”. A petition by certain members of the armed forces arguing for the dismissal of cases filed has been rejected by the Supreme Court. The Manipur case therefore continues. Another particularly troubling aspect is the way these crimes are valorised in popular culture and by the media. Police with such serious allegations against them are termed “encounter specialists”, and many have been awarded medals as well as financial rewards. So rather than prosecution and punishment, there appears institutional and popular support for these killings. Ultimately, to curb this rampant criminal practice there needs to be a concerted effort on multiple fronts – the legal, institutional as well as societal. International pressure, such as the recent statement, is an important step in adding to pressure for change. A string of silver screen features offers a powerful way to shape politics and damage opponents. This year it is 25 years since Francis Fukuyama published The End of History and the Last Man.